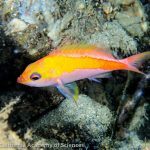 The mesophotic reefs of Micronesia are teeming with undescribed species, and right now a group of researchers from the California Academy of Science and the Association for Marine Exploration are out at Pohnpei hoping to find them. 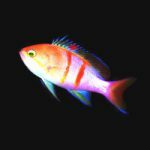 As part of this expedition, the team has completed the deepest ever visual transect of coral reef fishes (at the absurd depth of 125 meters!) 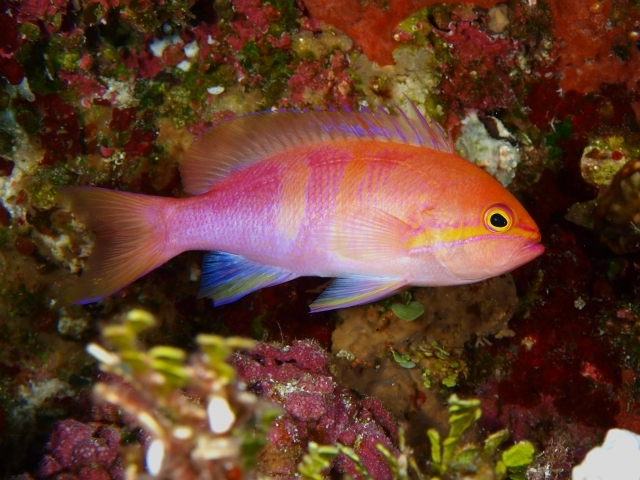 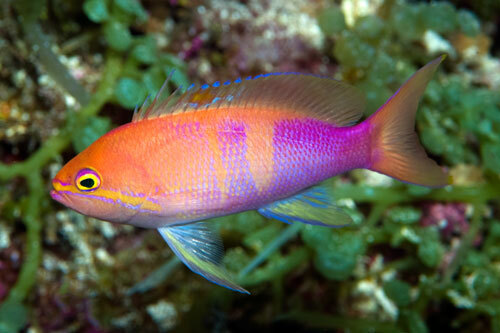 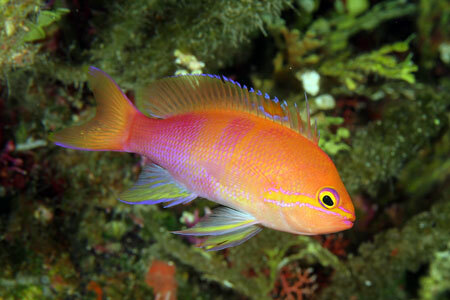 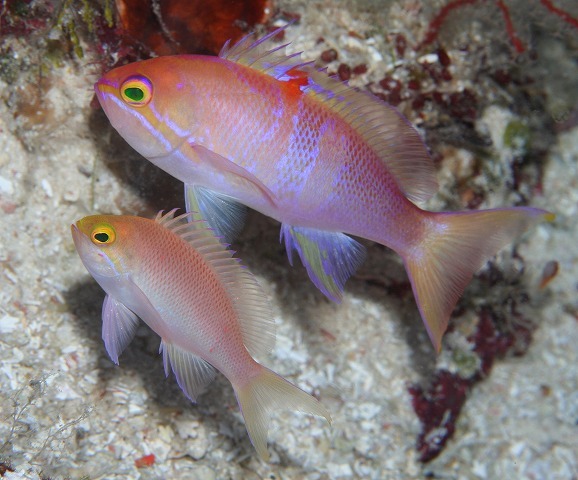 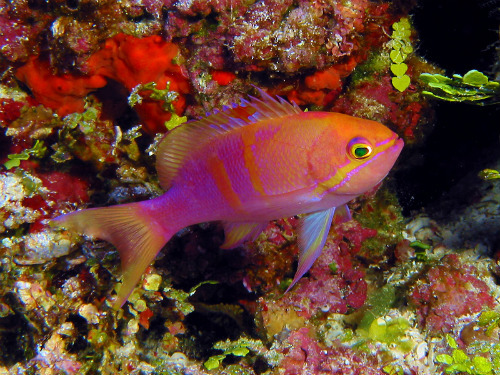 and have turned up endemic species like Cirrhilabrus earlei and Nemateleotris cf helfrichi, but perhaps the most remarkable fish found thus far is an undescribed species known informally as the Double Bar Anthias. 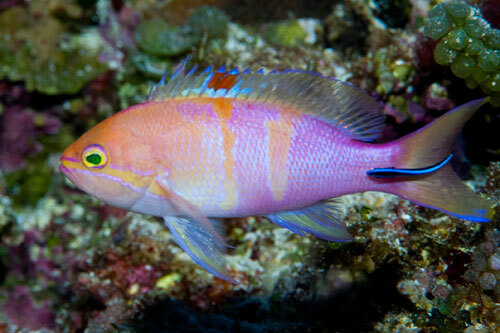 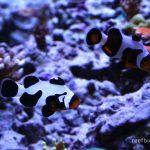 This stunning fish has been popping up in diver photography for years now, and a pair was even collected and sold by Blue Harbor in Japan. 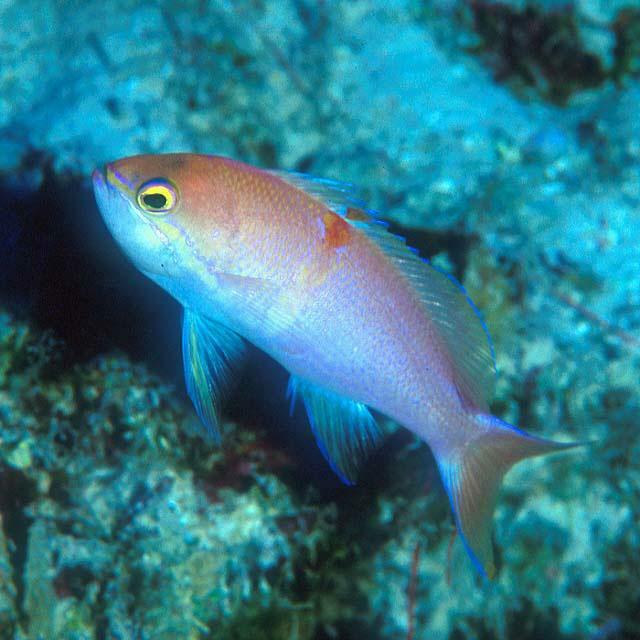 It occurs exclusively in depths below around 50 meters in Micronesia, having been documented from Palau, Yap, Saipan, Tinian, Kwajalein and now Pohnpei. 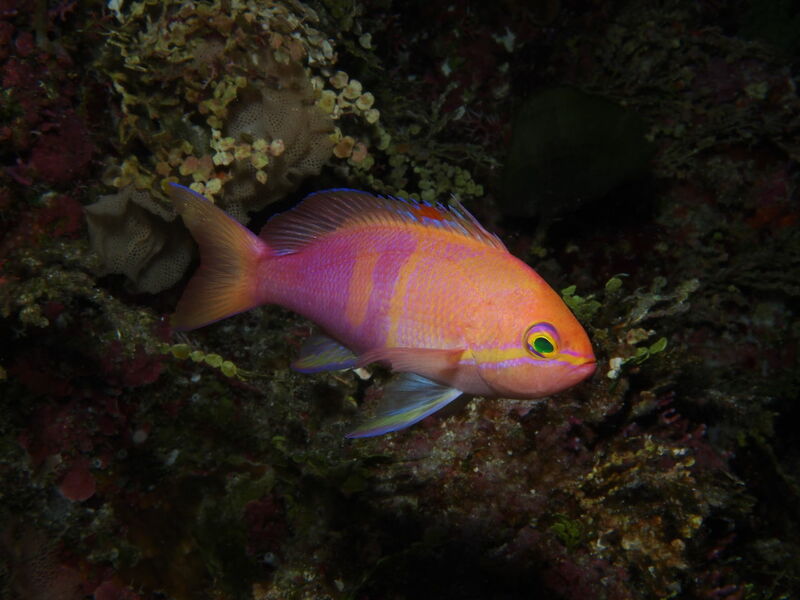 This is likely a fairly complete picture of where it occurs in the wild, though it might also be expected to turn up uncommonly in places like the Philippines, New Guinea or the Line Islands. 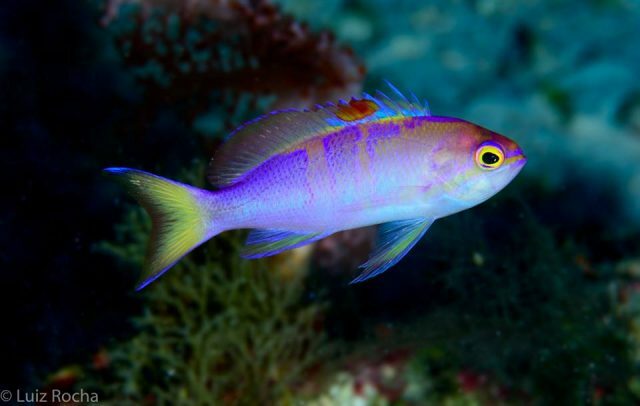 It belongs to a rarely encountered but widespread Indo-Pacific species group that is recognizable for having a red vertical bar or spot midway along the body and a purple sheen to the posterior half. 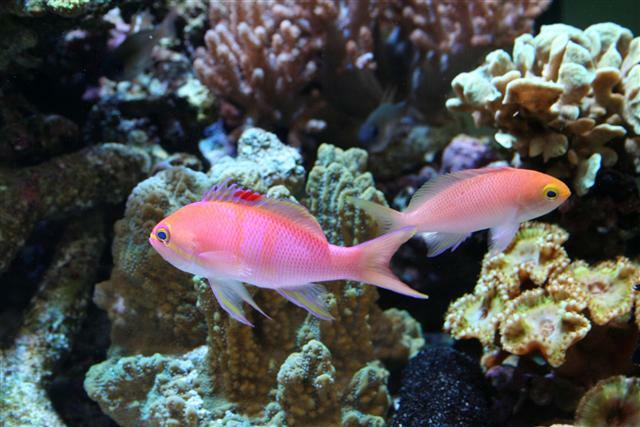 Included here are P. charleneae, P. lunulatus, P. engelhardi and perhaps P. carlsoni. 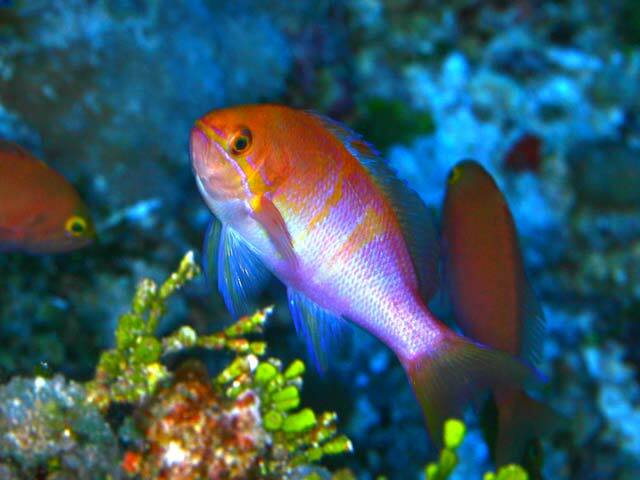 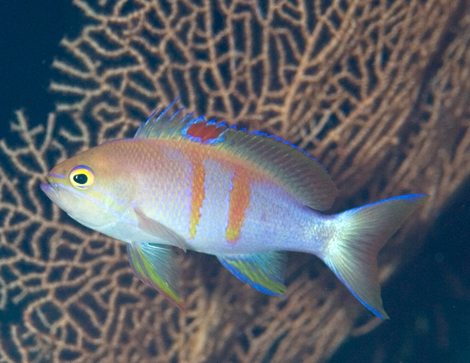 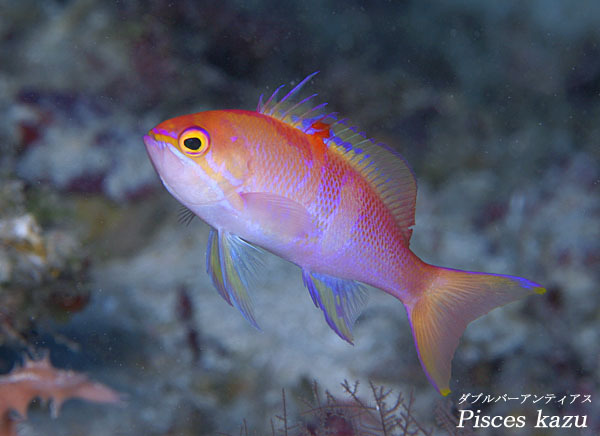 The undescribed Micronesian fish is easily identified in having a pair of vertical bars, which has led to this fish being known as the Double Bar Anthias by the Japanese divers who first discovered it. 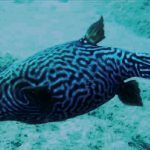 Now that additional specimens of this beautifully patterned fish have been collected, we might at last see it scientifically described. 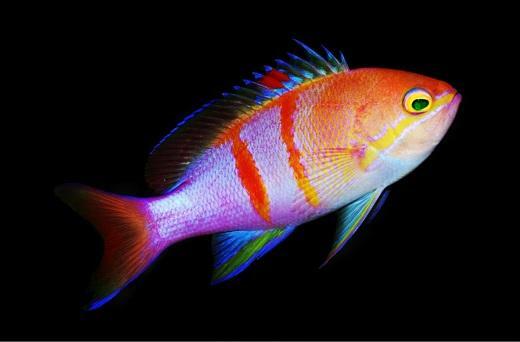 Unfortunately, this is one fish which isn’t likely to be available to home hobbyists anytime soon.